It's now possible to add comments to flight and duty records. Two new reports are available for Aircraft and Pilot hours. A new W&B station type for Hooks and Winches where the station arm changes depending on the weight. A number of dashboard widgets have been developed for the pilot users so they can see at a glance all their critical information. 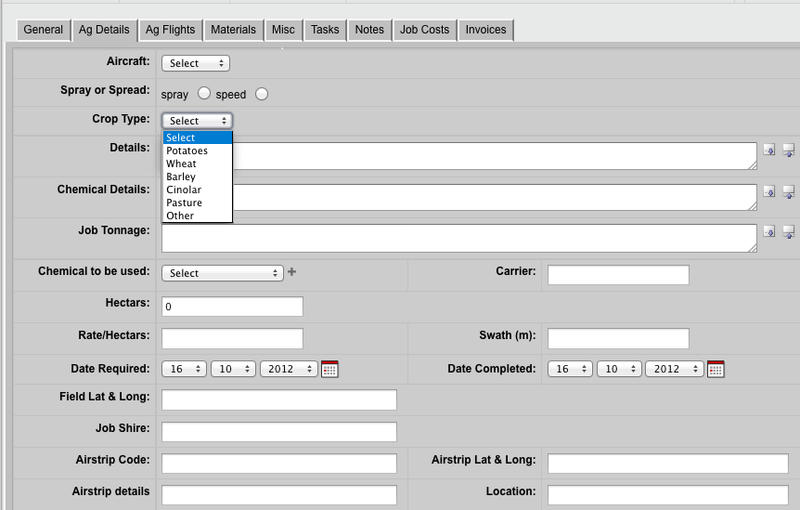 Its now possible to include standby time along with landings when invoicing a flight. A simple register for incidents and hazards. The Jobs module has been extended to allow the tracking of Ag work from the flights and costs through to an invoice. Search Due Date Control Module by Group in the Advanced Search.